Grahame Wilshaw Parker OBE was born in Gloucester on February 11, 1912. He was educated at The Crypt School. His first visit to Kingsholm was for the Jubilee game in 1923. His father was a soccer player and during the 1929-30 season Grahame played football at left back for Gloucester AFC while playing centre threequarter for CryptSchool. 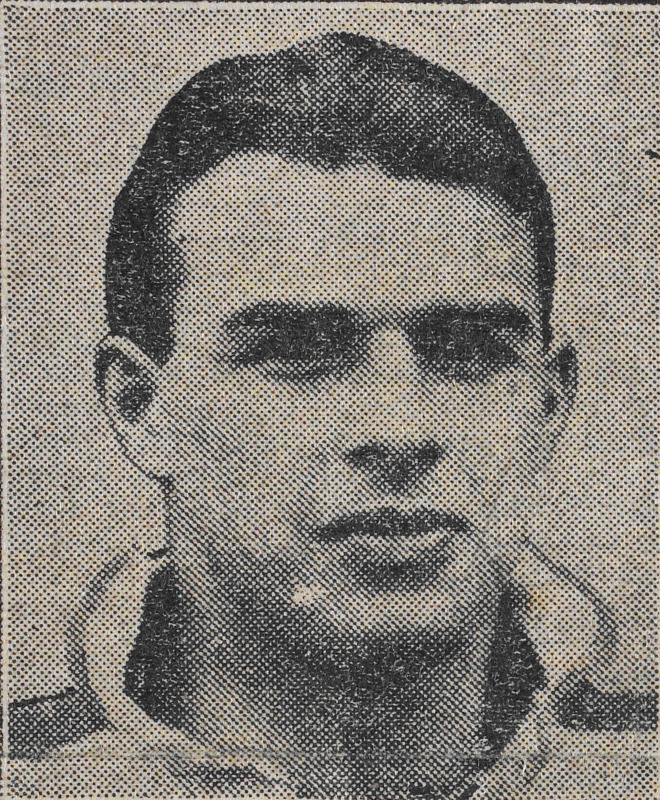 Grahame Parker made his debut both for Gloucester United and for the first team in 1931. He was travelling reserve for Gloucestershire at the 1932 County Championship Final against Durham at Blaydon (He went on to play 15 times for the county). He believed that he had played in every position behind the scrum for Gloucester before going up to Cambridge and gaining his first blue in 1932-33. At Cambridge, he won blues at both Rugby (the 1934 side contained ten internationals) and cricket, scoring 94 against Oxford in 1934 and captaining Cambridge in 1935. In 1937-38, now a schoolmaster, he realised that he would never be first choice at full back for Gloucester and played instead for Blackheath. He was selected at full back for England that season and kicked 24 points in his two internationals (including 15 points on debut – a record). He said he always regretted that “Blackheath” appeared after his name and not “Gloucester” although in fact in most international records he now appears as a Gloucester player. He also played for the Barbarians. Grahame Parker continued to play cricket for Gloucestershire and in 1937 made three centuries, including 210 against Kent at Dover. In the autumn of 1938 he joined the Army and in World War 2 he rose to the rank of temporary Major in the Royal Army Service Corps (RASC). For “acts of courage” with 521 Company RASC in the Italian Campaign, Grahame received the award of MBE (Military) in June 1945. This was later upgraded to OBE, along with promotion to the rank of acting Lieutenant-Colonel, in recognition of his command of the Combined Cadet Force (CCF) at Blundell’s School in Tiverton Devon, where he was a teacher for 22 years.He appeared occasionally for Gloucestershire after the war and then captained Devon in the Minor Counties Championship from 1953 until 1956. He became Secretary (Chief Exec) of Gloucestershire CCC in 1968 and later was their first ever Manager. He served as President in 1986 and 1987. On a visit to Kingsholm in 1970 to watch Western Counties play Fiji, he was greeted on arrival with the cry “Where’s Harold then?” It was as if he had never been away. He died in 1995.